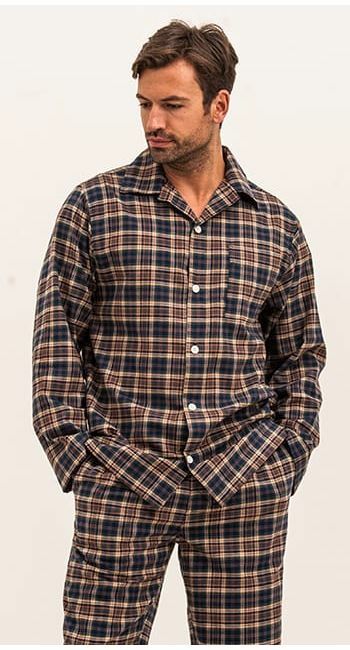 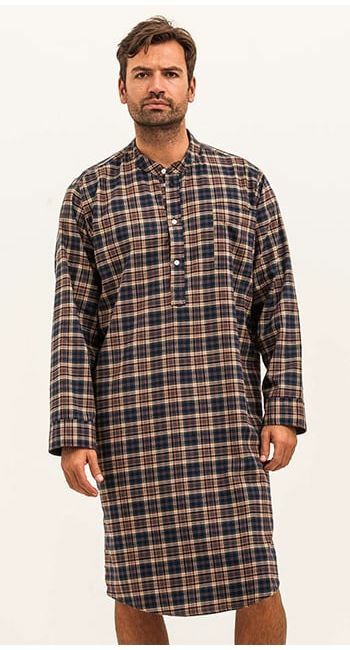 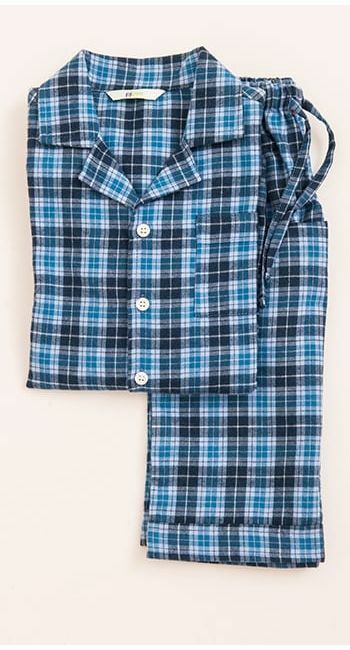 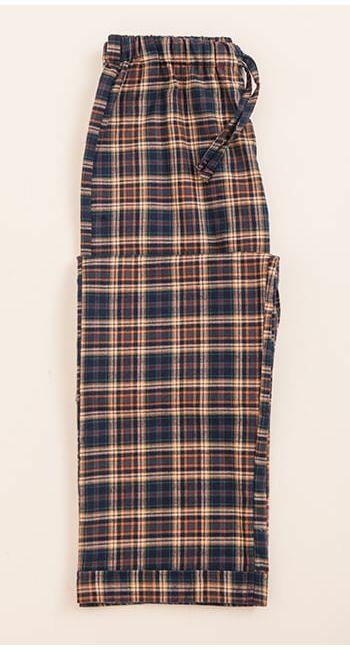 Boy's traditional pyjamas in a brushed cotton check, made up of blues, greens, reds and earthy tones. 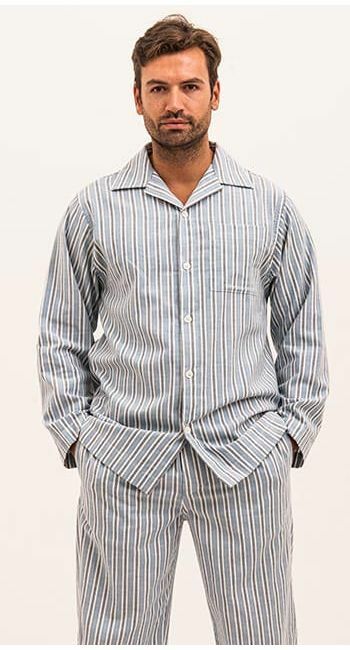 The pyjama jacket is finished with real shell buttons. 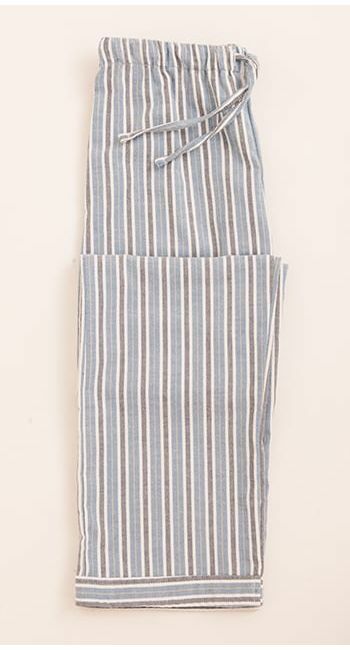 Straight leg trousers with elasticated waist and functional drawstring. 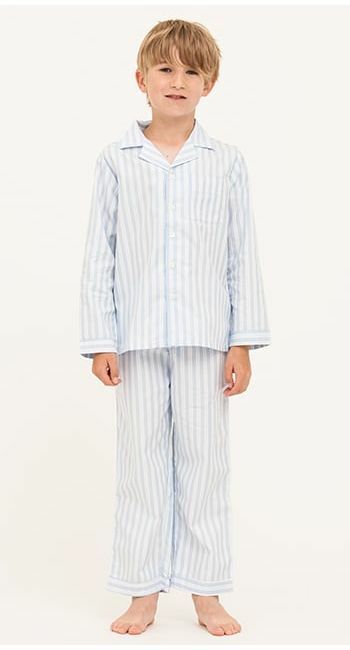 If you're after matching father and son pyjamas, you'll find this fabric in the men's collection.